Noa’s Ark is live! The paperback and the Kindle version have not “connected” yet, but both are up there. In celebration of the release of my 9th novel, I’m putting the whole Archangel Project series on sale. 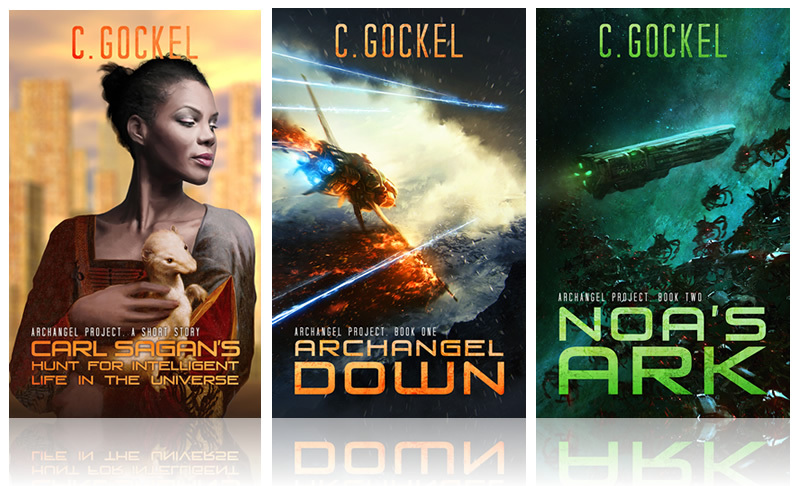 Carl Sagan’s Hunt for Intelligent Life in the Universe is FREE, and Archangel Down and Noa’s Ark are 99-cents. Pick them up on Amazon while this sale lasts! 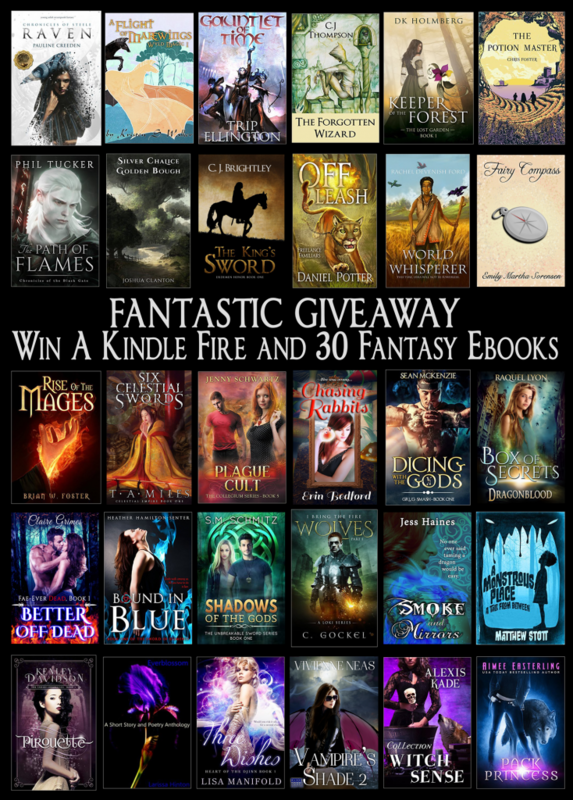 CJ Brightley’s Kindle Giveaway. 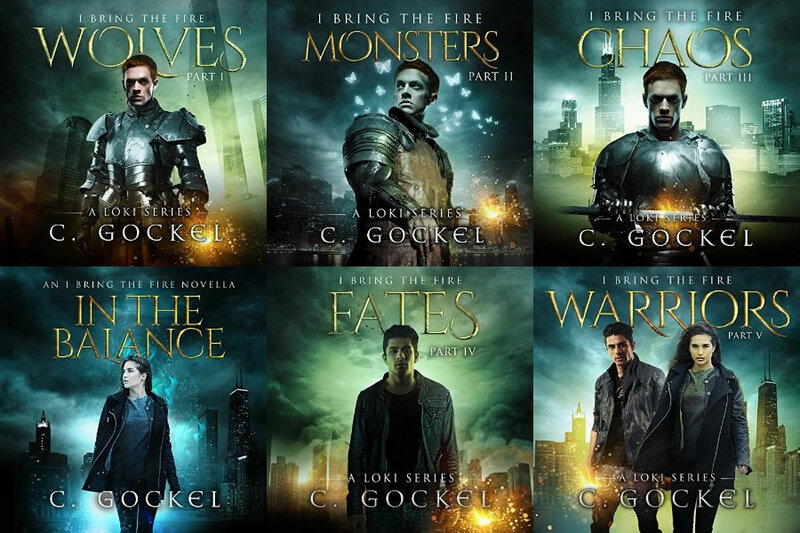 Besides the opportunity to win a Kindle, CJ gives readers a chance to win free ebooks, including the box set version of I Bring the Fire, a $7.99 value. She also gives readers a chance to opt out before receiving offers from the various authors. For a long time as an author I avoided Kindle promotional giveaways. Authors collaborate to pay for a Kindle and raffle hosting. All the authors in a giveaway send an email to their mailing lists and post the offer on their blogs, Facebook pages, Twitter, and other social media accounts. Readers enter the giveaway by entering their email address. At the end the organizer contacts the winner(s), and shares all of the collected email addresses with the various authors. I was worried that by participating in these giveaways I was spamming my readers and betraying their trust. What changed my mind? An author posted on a public board about how her computer died. She couldn’t write, and at the time she didn’t have money to buy a new one. She also has kids, so she couldn’t easily just take a second job to save for one. She began entering every single laptop giveaway she could find. She eventually won one, got her free laptop, and was able to resume her writing. She is now a full-time author. Kindles are terrific for people who don’t have a lot of funds. eBooks by indie authors are cheaper than paperbacks, and traditionally published eBooks are becoming more common in libraries. Also, traditional publishers are more likely to put the eBook versions of books on sale. Kindles and other eReaders are also great for people with various disabilities. First, the text can be blown up to accommodate poor eyesight. Brightness can similarly be adjusted. Kindles are also lighter, which is great for some muscular disorders. Finally, because eBooks can be bought and borrowed online, there is no barrier for people who are housebound . I’ve begun participating in Kindle Giveaways, and I may host one myself in the not too distant future. They give my fans opportunities to win free books, and Kindles. They give me a chance to network with other wonderful authors, grow my mailing list, and hopefully make some new dedicated fans. I have noticed that they vary in quality. One organizer of a giveaway I subscribed to (because I subscribe to all the ones I participate in) emailed readers three times afterwards. It may have been an error in mailing list management, but I had to unsubscribe from her list 3 times before she stopped sending me emails, and it was frustrating! To protect my fans from that sort of annoyance, I won’t participate in one of her giveaways again. But I will participate in ones like CJ Brightley’s and e.b. browns. E.b. limits mailing list signups to just authors readers chose to be contacted by, not all of them. CJ sends a welcome email and lets readers unsubscribe just once before getting a deluge of emails from participating authors. So, if you need a Kindle, or know some one who does, try them! e.b. browns Kindle Giveaway and mega ebook sale. It is also available as a paperback from Amazon, and Barnes & Noble. Of course it is still available as an ebook from Amazon, Nook, iBooks, Kobo, Google Play and Smashwords. When science meets Chaos, what could go wrong? Bohdi Patel is keeping the revelation that he is Chaos incarnate a secret, and handling the revelation about as well as one would expect. He’s in a downward spiral: losing his lease, totaling his car, and trying to keep everyone he cares about at arm’s length. Veterinarian Amy Lewis is wondering what happened to the funny, flirty, curious Bohdi she knew in the land of the Norns. He’s become moody and sometimes cruel. She is definitely glad she didn’t become romantically entangled with him … most of the time. When tragedy strikes Amy’s beloved mutt Fenrir, and Odin strikes Bohdi’s best friend Steve, they have to work together again. Amy’s knowledge of science, Bohdi’s talents for theft, and both of their survival skills are put to the test. But more than Steve and Fenrir’s lives are at stake. 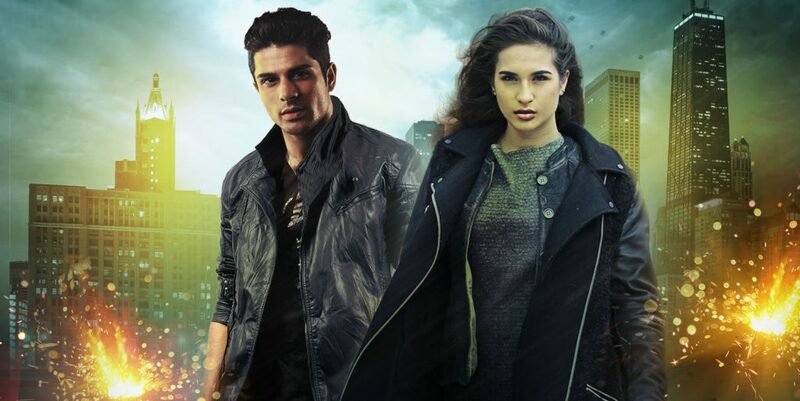 Amy and Bohdi may unlock the key that saves mankind from the gods … or bring about the apocalypse. The I Bring the Fire series audio versions are almost complete! And you can start listening to them for as a little as $2.99 if you download (or already own) the free Kindle Version in the United States or U.K. Already got it? Click here to start listening. Same deal for the rest of the series. I Bring the Fire is available via Overdrive, the ebook and audiobook service for libraries. If your library participates you can read or listen to the whole series free of charge … all you have to do is request they order them. Someone asked me if I “minded” readers getting my books through the library. Loki’s whiskers! I am delighted to be in libraries. Please, request away. Heck, even if you own them, request them from your library so other people can discover them! Making the USA TODAY LIST–What I did wrong, and somethings I did right. So this is just my addition to the well of knowledge that I hope gives me good karma! I want to start with the things I did wrong. Dropped price four days before sale (I did this anyway, worried about fighting Nook support over the weekend) -> Started Facebook Campaign with $5/day per vendor to get an idea what worked on what vendors. Had affiliate codes for each vendor (that worked in Facebook ads–my Viglink links didn’t work, not sure if Viglink links don’t work, or if Nook doesn’t like me) to recoup more costs and tracked ads effectiveness. Spent Facebook money steadily and consistently over the course of the sale. An explanation: Facebook tries first to spend all your money for the day and second to get you the best cost-per-click. If you have less money to spend, it is going to be reaching for higher quality leads to give you the best bang-for-your buck. If you have more money to spend it is going to have to advertise to lower quality leads in order to exhaust your funds. Second: panicking about Nook sales before BookBub/eBookbutterfly. If you look at my advertiser list you’ll see that I used a lot of advertisers that promote books on all vendors before my Thursday when ‘Bub hit. (BookBarbarian, ReadCheaply, ManyBooks, ReadingDeals, MyBookCave, ENT, BargainBooksy, Ebookhounds, SweetFreeBooks, Riffle, Fussy). Nonetheless, I only had about 99 sales on Nook by EOD Wednesday. The two BEST advertisers for non-Amazon sites are BookBub and Butterfly, but Butterfly’s posts don’t go out until afternoon/evening … so my Wednesday sales were low. Third: Having a 99-cent sale on my box set when I first released it. I didn’t release Archangel Down at 99-cents, and probably should have, as it was a new series in a new genre. (That could be its own post!) Feeling guilty, I released the box set at 99-cents and sent out a note to my mailing list and mentioned it on FB. I got over 100 sales–mostly fans buying the set for friends. I should have released it quietly without fanfare, sent a note to my ARC readers for some reviews, and only told my fans during my sale. Fourth: Not being completely informed to start. I didn’t know USA Today List sales are counted from Monday to Sunday evening. (I thought it was Sunday to Saturday — but that’s the NYTimes List.) I didn’t know I’d need 500 sales on Nook at least. Fifth: Not working with the vendors. If I had really planned it well, I could have contacted Nook, iBooks, and Kobo and tried to get their help with promotions by being featured in Kobo First, Nook Next, and/or an iBooks editorial selection. First: I think my advertiser line-up was pretty good. Second: Starting advertisements three days before the BookBub. This wouldn’t have worked if my sales was on, say Monday (so there is the luck of it!) … but it helped me rank higher on the day of my Bub. I started out that day at a rank of 339–I didn’t have as far to go to reach #16. Also, Amazon really rewards consistency above discounts “spikes.” I had friends who sold more on Amazon the days of their sales and not ranked so high. Three: ebookButterfly This relates to the first two points above. eBookButterfly promotes your sale on a lot of various blogs over the course of several days. The spike isn’t as high, but I’ve always seen a steady stream of sales from them that gradually diminish over the course of a few days. It’s great for rankings. Fourth: Promoting my permafree if an advertiser was booked or didn’t allow 99-cent sales. An example: KND owns BookGorilla, which is a pretty reliable advertiser. Gorilla was booked, so I used a KND $29 free day highlighter. This put my first in series on the KND Facebook Page and in front of the BookGorilla audience. I put a “Box Set on Sale” note on my permafree page on Amazon–I’m pretty sure this helped sales. Fifth: Facebook. I didn’t do it well, but it was important. I’ve heard of people only hitting 250 sales with BookBub on Nook who’ve made up the difference with Facebook sales. Sixth: New Promo Pictures on FB everyday. This kept my fans from getting bored, and allowed me to reach different audiences. I noticed guys preferred the promos with Loki, women preferred the Amy Promos. So, thank you, thank you, thank you everyone. I hope that you find this post and my first post useful and helps repay all your support in some small way … I don’t think I can repay you enough. UPDATE: As of this point I have 7130 ebooks sold between Amazon, Nook, iBooks, & Kobo. At this point if I don’t make the list, I think it will be due to something I can’t control. I’ll be creating a separate post with things that I could have done better, and some highlights of things I did right. I don’t know what my chances are. There are some things that are going against me. First, some of the books in the set are about 4 years old now … that’s older than dirt in ebook years. Second, BookBub is on Thursday–would definitely worked better to have it at the beginning of the week and then used other advertisers to keep the BookBub bump going, rather than using other advertisers to get the rank up BEFORE the ‘Bub kicks in. Third, couldn’t get RobinReads–they rock–but were completely booked. Finally, there is a hole in my advertising schedule, and I was going to use Facebook to make up the difference … but Facebook is really slow to approve ads at the moment. I’ve been waiting for this post to be approved for a boost all morning. Blah. Friday 1/29/2016 Starting rank #18ish on Amazon … #3 in Nook! For the record: I didn’t mean to load up on advertising on Monday … it just happened! I submitted for any day between Monday and Friday and they put me in that slot. http://ibringthefireodin.tumblr.com/post/120052468322/one-blue-eye-ibringthefireodin But I may run out of steam and that may not happen! I wish I had a Twitter presence, but … there’s only so much you can do. Also, I hit up every single free site option on this list I made awhile back: https://docs.google.com/spreadsheets/d/1RuBvSzJuy5jFg4-58EkkQ0G1OIuXzjN54CW-_CavdCA/edit#gid=0 (Yes, I made this list! I see it shared all over. It was my penny into the well of indie-author karma) For the ones that don’t accept paid books I used my permafree. I have never spent money that wasn’t “extra.” I redesigned my covers based on extra earnings from BookBub. This is a shot in the dark (or the foot.) I have felt like throwing up all week … and I don’t think it’s noravirus. ETA: eBookButterfly isn’t running me free, he just said that the posts will go out over 3 days. I only put the price down on the first day. Sorry for the confusion.